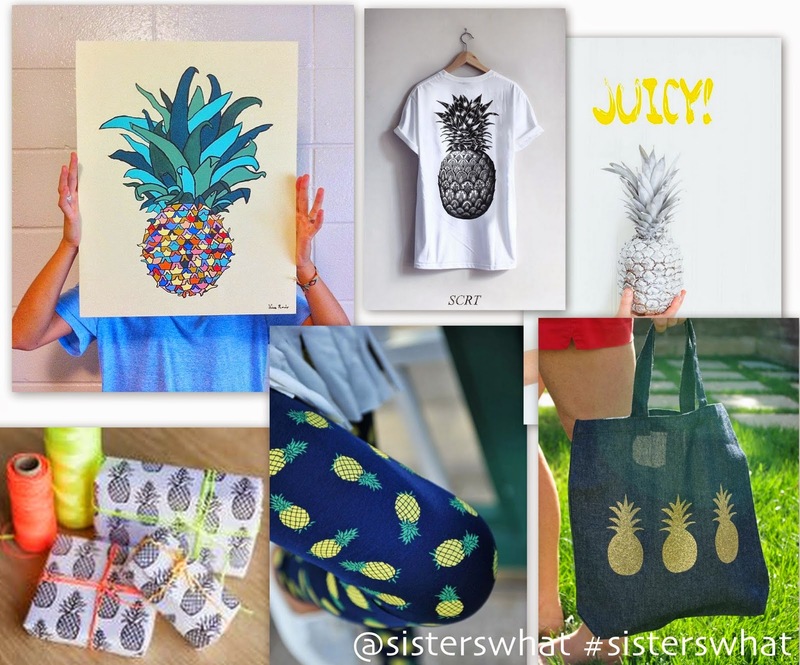 ' All Things Pineapple - Sisters, What! Pineapple seems to be the in thing lately, which makes me really happy because I've loved pineapple for forever. You may remember the ridiculous video I made a couple years ago. If you don't you have to check it out here. So cheesy I know, but sometimes you've gotta be cheesy. Anyway here are a few of my most recent pineapple favorites. Aren't those leggings just the greatest?! Go check all of them out. Catch the pineapple fever.